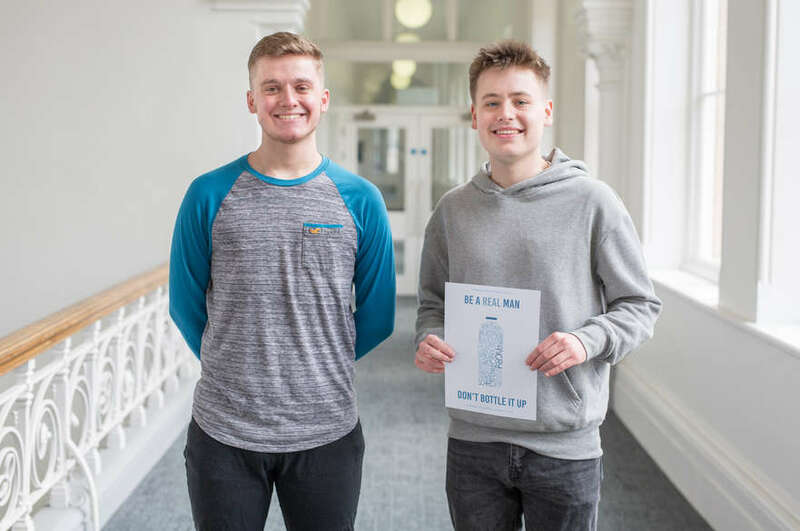 Two students in their second year of our BA (Hons) Textile Design course have been awarded placements with Romo, an international leader in the design and marketing of exclusive furnishing and upholstery fabrics, wallcovering and trimmings. 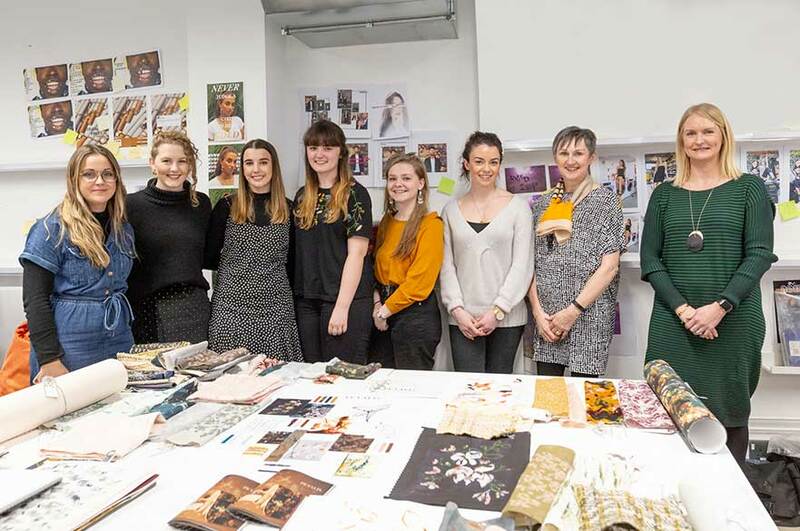 The students worked in groups on the industry project brief, designing collections of fabrics for use on various interior applications. 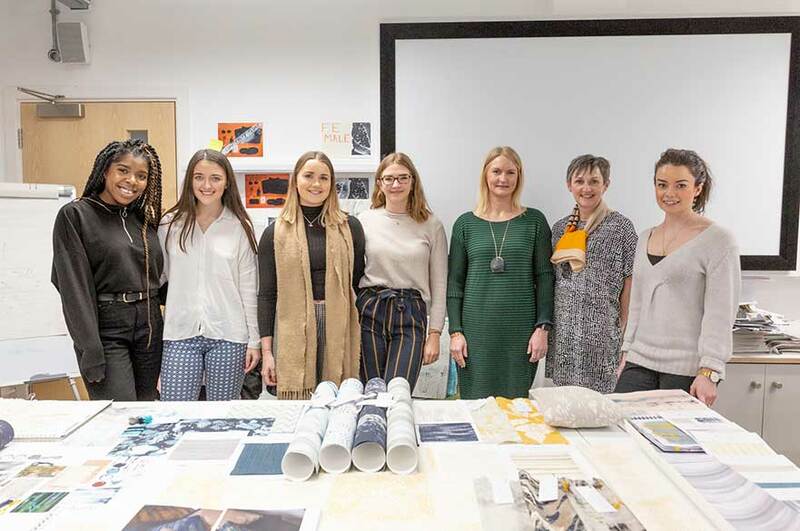 Romo Print Design Manager Gillian Edwards, along with Designers Abi Hutton and Emily Mould, came to view and judge the presentations of work this month. The student groups presented their research to the Romo team, through mood boards and fabric samples, and subsequent collection development ideas. 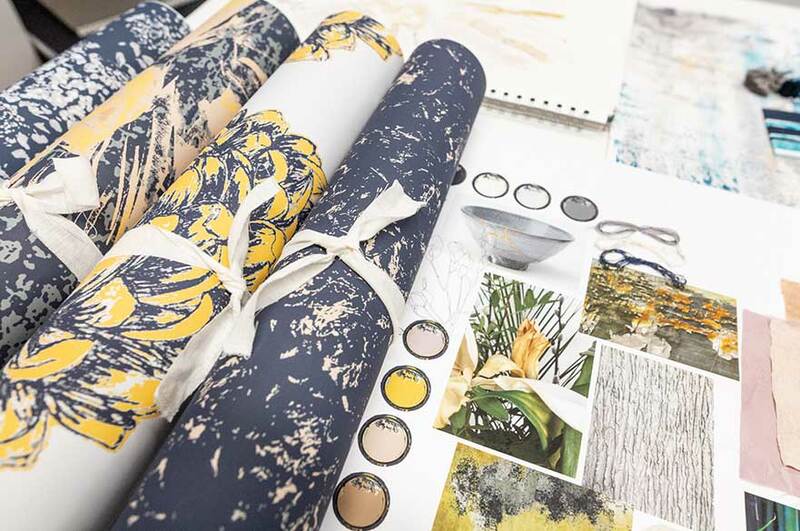 Gillian, Abi and Emily were looking for designs which demonstrated fresh colour palettes, and which demonstrated cohesive themes underpinned by an understanding of the Romo brand’s core customer. The Romo team also wanted to recognise the two strongest teams. 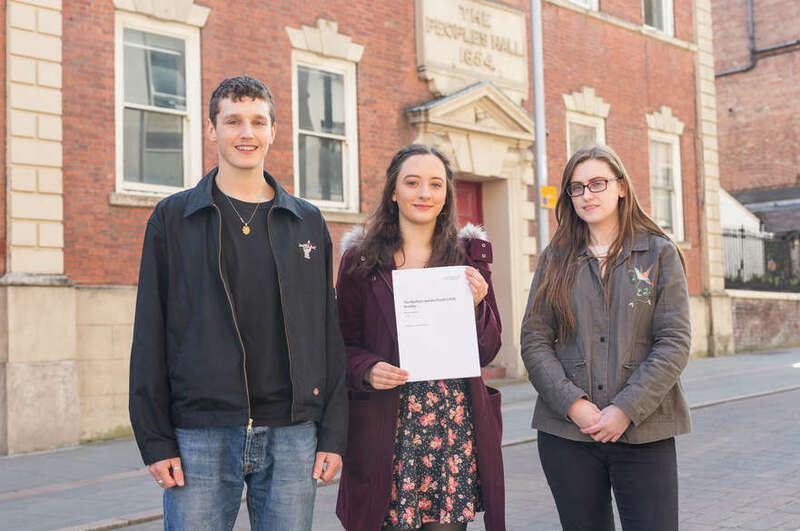 Zippy Cooklin, Hannah Potter, Millie Paver, Chloe Sparks and Esme Webster formed one of the teams whose designs captured the imaginations of the Romo team, along with a further group made up of Hannah Bradley, Olivia Hindle, Ruth Obediah and Georgina Thomas.